Engr. A.A. Rabiu is the Executive Partner of AR – AR Partnership, an indigenous consulting outfit with a professional practice embracing a full range of activities in Civil Engineering, Water Resources Engineering and Project Management. Born on April 24th, 1963, in Lafia, Nasarawa State, Engr. Rabiu studied Civil Engineering at the Federal Polytechnic, Bida and Bayero University, Kano. He has over the years acquired extensive experience in various aspects of Civil Engineering works particularly construction supervision and procurement services. He has served the Nigeria society of Engineers in various capacities which includes 3-times Vice President and many more. Engr. 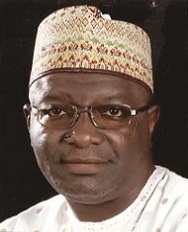 A.A. Rabiu, a well-traveled Personality has several awards locally and internationally and is married with Children. Address: No. 65, Marhaba, Farm Centre, Kano.